I get up and head into the motel reception area for breakfast. There’s some strange choices on offer – cold, shelled boiled eggs, weird pastries, no hot food – but it’s OK. It’s packed out and difficult to get a seat at first. But then someone leaves and I cram myself onto a table in the corner. Looking around the place I see I’m the only white person in here. As, I then recall, I was in Shoney’s last night. And then it strikes me that I didn’t see a single white person all day yesterday: in fact, I realise, the last time I did (apart from the Korean store owner) was passing through one of towns south of Leland – that’s a day and a half ago. It’s so different from life back home: but experiencing different places is one of the reasons for the trip. Anyway, at $65 for the night, breakfast included, the motel is very good value: clean & comfortable. After checking out I turn right on to Hwy 82, heading west to Leland. A few miles on and I turn left onto S Broad Street – and it’s the Old Highway 61 that’s taking me into town! The town is almost deserted, it’s very quiet, there’s no-one walking around, and most of the stores seem closed yet it’s 10.15 am on a Saturday morning. 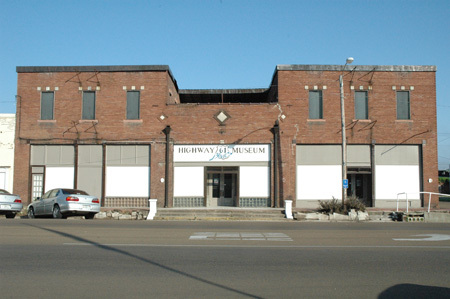 I find the Highway 61 Blues Museum – and it’s closed! Surely it should be open by now? There’s nothing to indicate opening times but there’s a phone number on the door that I call, and the guy who answers says someone should be there to open up soon. 10 minutes later a white guy does turn up outside to open the door and I follow him inside. He’s one of the museum curators and he says just to browse around as I wish. The museum, housed in the old Montgomery Hotel, is an interesting place and it’s done quite well if a little rough round the edges in places. There doesn’t seem to be a theme or starting point, you just wander about the rooms and see what’s on display. After about 20 minutes this tall, rangy black guy turns up and comes over and introduces himself. He’s quite a character, not too many teeth, gnarled fingers covered in plasters, dressed in scruffy t-shirt and sweat pants but there’s a huge welcoming, beaming smile on his stubbled face. I’m not sure who he is, and his accent is really difficult to understand, but he’s very friendly and I think he says he’s going to play. Anyway about 10 minutes later I hear this guitar start playing and someone singing. I wander back to the museum reception area and there is the guy who just introduced himself, sitting in the corner by the door, strumming and hollerin’ away. 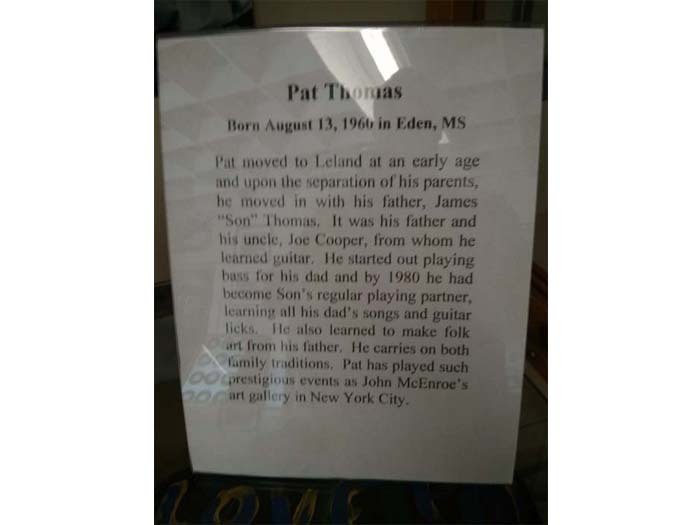 It’s Pat Thomas, the son of James ‘Son’ Thomas! 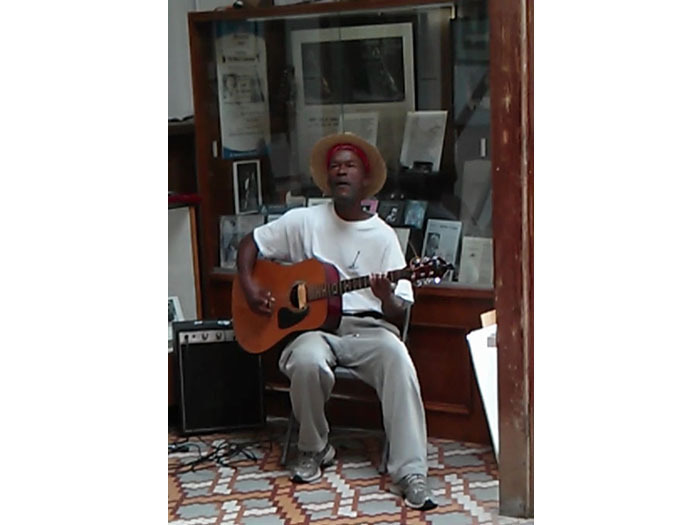 Click on the video to see him playing in the museum, the sound’s not brilliant but it was a treat to spend 10 minutes or so watching him. 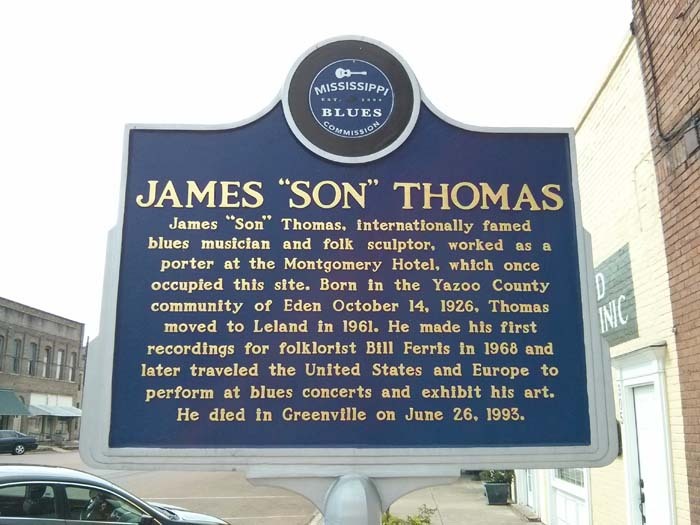 The brochure on the right is for the Mississippi Blues Trail – their website’s got a list of all the Blues Trail Markers around the state such as Son Thomas’ in the photo slider above. 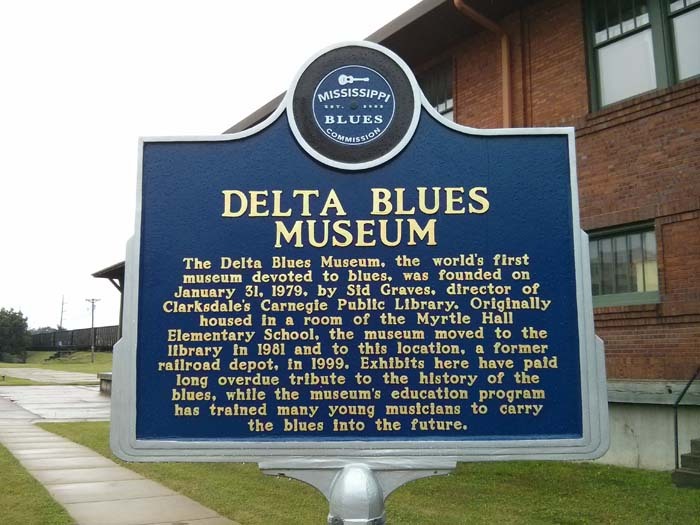 I’m finished at the museum now – it’s a good place, go visit it – so Clarksdale here I come: out of Leland and onwards north up Hwy 61. After a sunny start to the day I’m now driving through heavy rain so I can’t see much of the countryside but the road is still open, flat and wide. After Cleveland, north of Leland, the Old Hwy 61 re-appears in a few places but the weather’s that bad it would make it quite difficult to figure out where to get on it: (a) it’s not signposted off the new road, so I’d have to keep looking a map – whilst driving – to see where to get on it; (b) and then when to get back on the new road, because the old road appears to just stop in places – Street View shows it as a drivable road that turns into a dirt track in a couple of places, and (c) it would certainly slow me down and I don’t know how long I want to spend in Clarksdale, before moving on to Memphis later – so I stay on the new road. 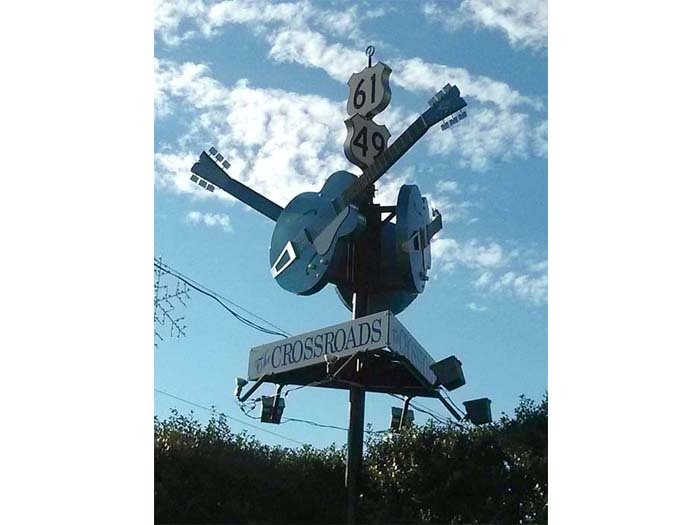 I arrive at lunchtime and pass the famous crossroads sign on the way into downtown, where I find Yazoo Pass, a diner-type of place, for a sandwich after which it’s a couple of blocks drive to the Delta Blues Museum. Whilst the building itself has been designated a Mississippi Landmark Property it’s a bit nondescript, being the Clarksdale freight depot built in 1918 for the railroad. No photos are allowed inside the museum but it’s actually quite a small place and very disappointing to be honest. They’ve just built an extension but there’s nothing in that part yet to speak of and the rest of the museum has some really badly portrayed exhibits, such as creased laser printed sheets of paper inside display cases stuck down with clearly visible sticky tape. There’s no logical sequence of either time, musical style or genre to how the exhibits are laid out so it’s all a bit of a jumble and poorly presented. There’s a grand plan laid out on a wall display which explains how they want to rectify some of this (for example by having logical, time sequenced exhibits) but it’s taken 10 years from opening to get this far and get the extension built, so who knows whether they’ll ever make it happen. 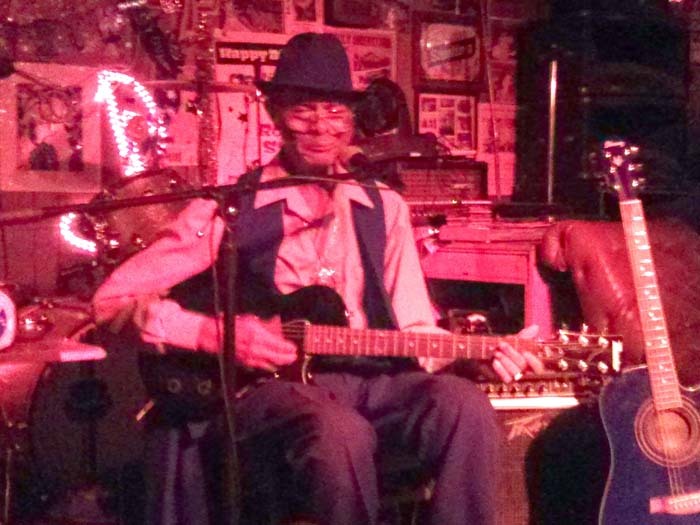 Just across from the museum is Morgan Freeman’s Ground Zero Blues Club. 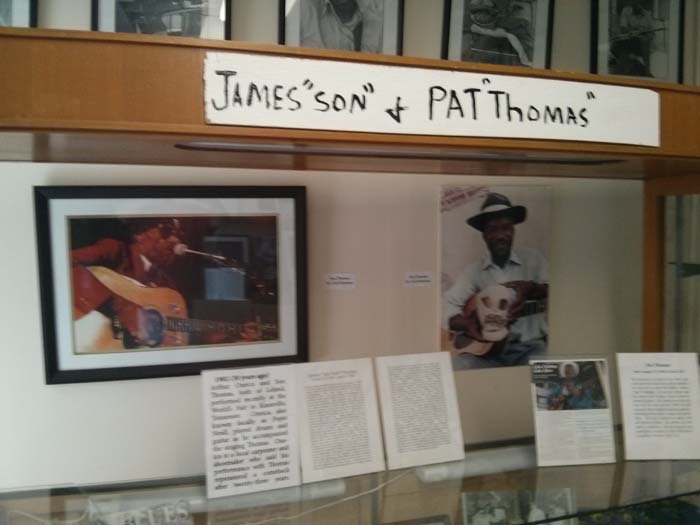 But I’m looking for Cat Head, a store that specialises in Delta Blues CDs, videos and books. Using the trusty Google Maps makes finding Cat Head a doddle, it’s just a block away. 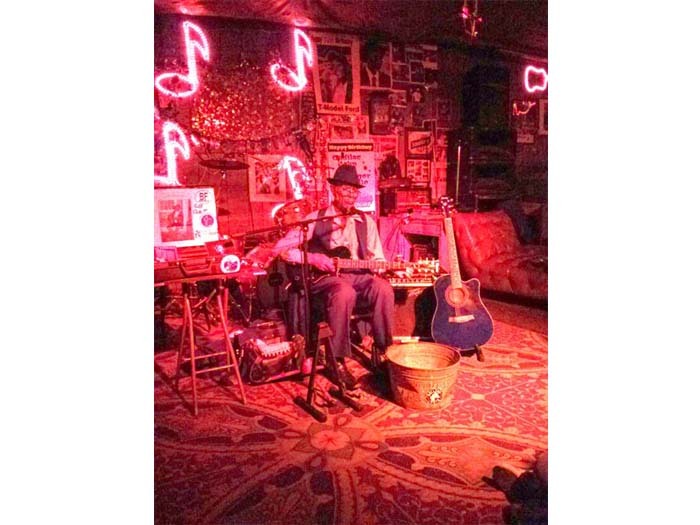 I spend a while browsing around the shop and buy a couple of Blues CDs – Robert Johnson – The Complete Recordings for one – and books. 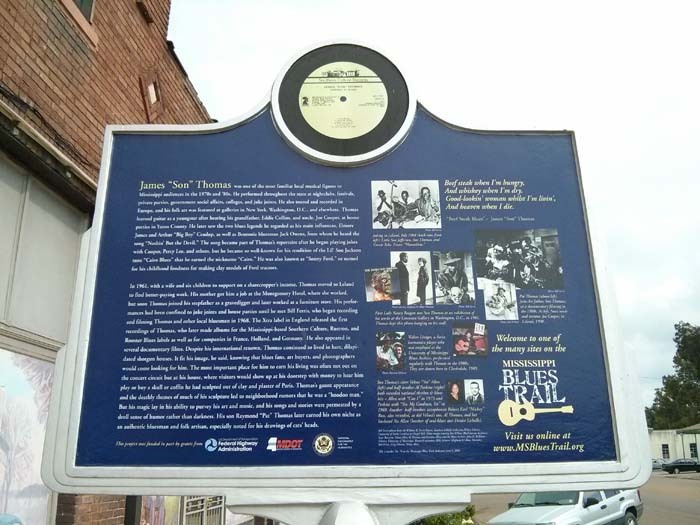 Now I knew that the King Biscuit Blues Festival was on in Helena at this time but I didn’t think I could fit it into the schedule (it’s called the Arkansas Blues & Heritage Festival these days apparently). But despite Tad postponing tonight’s tour of the clubs, I still have to be in Memphis tonight because I’ve got a pre-paid hotel room and if I don’t check-in before midnight I lose the room – and the next three nights as well. But it’s only 3 pm and Memphis is, I reckon, only about 90 minutes drive away. 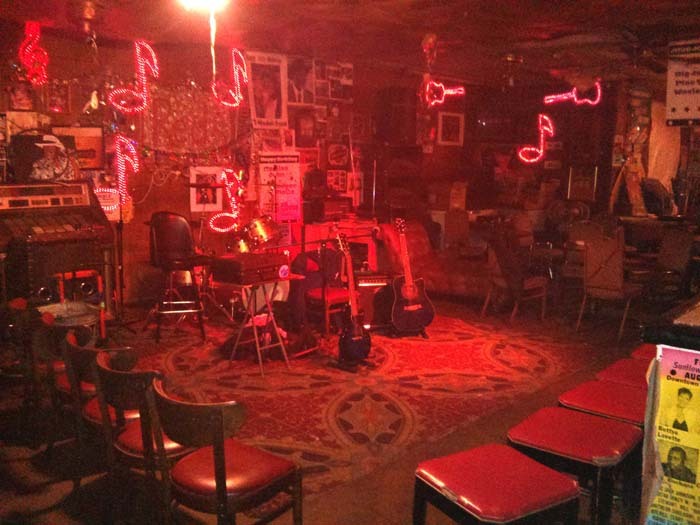 So I’m on my original plan time-wise: which was to get to Memphis by 6 pm then meet Tad for the club tour this evening. 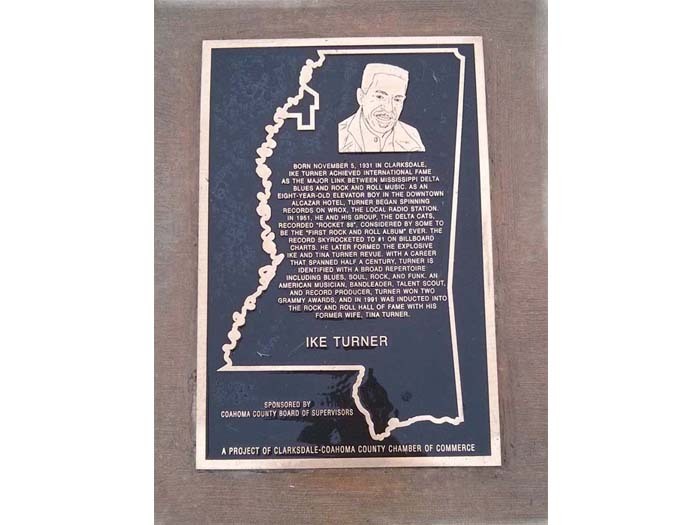 But now that’s been postponed to tomorrow I’ve got some dead time: can I get to King Biscuit, spend some worthwhile time there and still make it to Memphis by midnight? Wow. Can’t miss that. 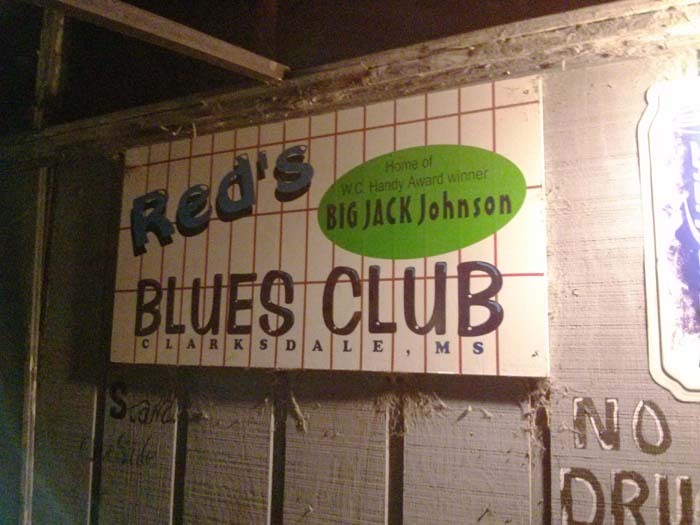 I call Tad just to check this is no B-S and he says that if the Wolfman was on in Memphis we’d definitely go and see him, plus he confirms Red’s is a bona-fide juke joint (check it out on TripAdvisor and see it in We Juke Up in Here!). So I decide to go. I’ve just got to work out timings to get to Memphis in time. So I get in the car and go to find Red’s to check it out: I pass it once and drive around a bit and it looks like it’s in a bit of a rough-ish neighbourhood but Cat Head man said it was OK, so I trust his word. I also talk to the cook as well, who’s a real laid-back, tall guy; he then says the food is ready so all of us outside chow down on some ribs, which are pretty good. An old-ish white couple turn up and sit on the table outside with us, and a few other white folks are starting to arrive and go inside but there’s a really cool vibe outside, with lots of chatter and banter between us all. Quite a few local guys drop by for a chat to Red and his team and then move on, some more cruise by in custom car (with much joking and backchat between everyone), a bunch of Mexican labourers in a huge pick-up truck stop to get some ribs – and then, without any announcement, a guitar starts playing inside… It’s just gone 8 pm so I head inside but there’s hardly anyone in the audience. I get a great seat right in front of the bar just a few feet away from Wolfman. 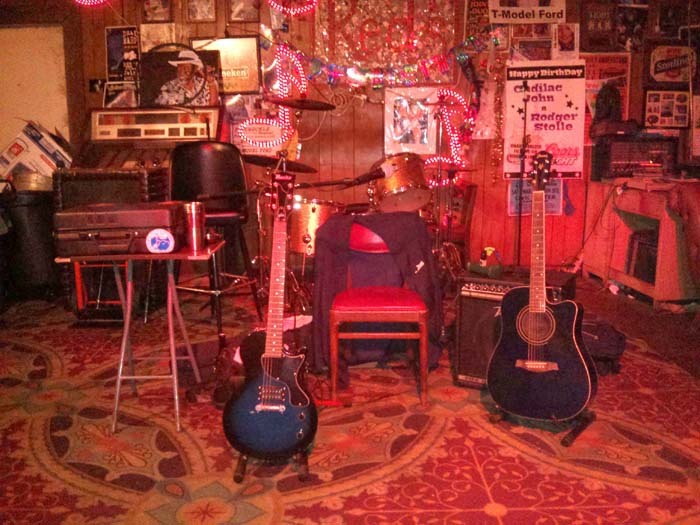 As the set progresses, the audience does grow and the place fills up over time but also people are constantly coming and going, folks just wandering in for half an hour then leaving – and some quite rudely at that, like in the middle of a song. Yet it’s also strange, to me anyway: everyone in the audience is white – most people are in their 50s or 60s, with just a few younger people – but there are no black people watching. Why? 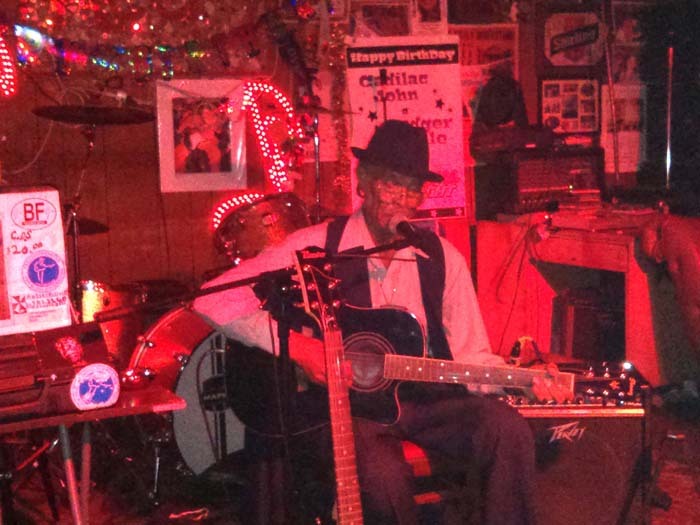 Needless to say, the Wolfman, who turned 73 years old in 2013, is superb. One man, one guitar, one microphone. That’s it. What else do you need? It’s getting close to 10 pm, my cut-off time to leave. But it’s also starting to get very smoky inside from cigarettes and I feel my eyes and throat getting irritated. Mississippi allows smoking in clubs and bars but it’s not something I’ve been used to for a while. 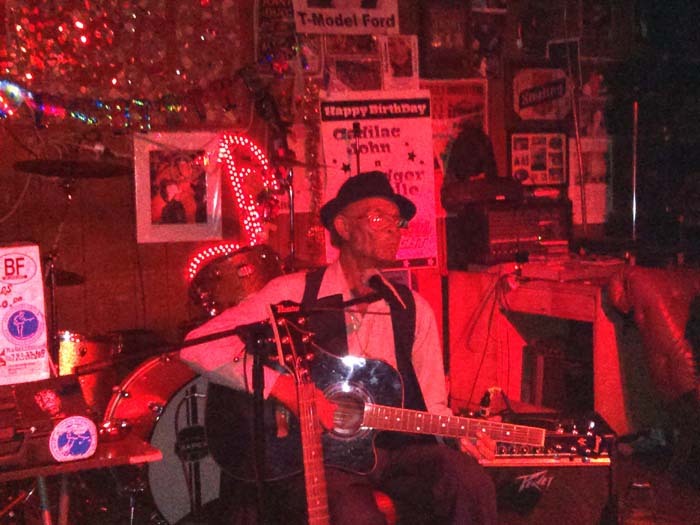 Red said earlier that Wolfman would play until midnight at least (!) 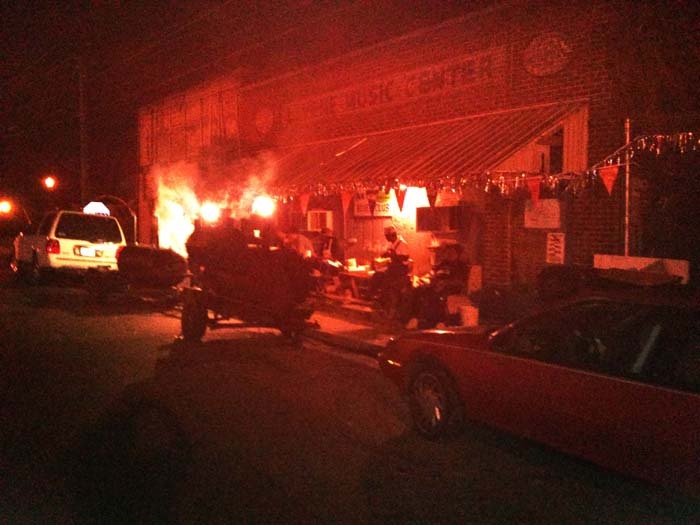 but I’m not sure the smoke wouldn’t have driven me out before that, however reluctantly it is that I’m leaving now. But Memphis beckons. I say goodbye to guys outside, get into the car, and find my way back onto Hwy 61 North. The road is deserted, just the odd car here and there. 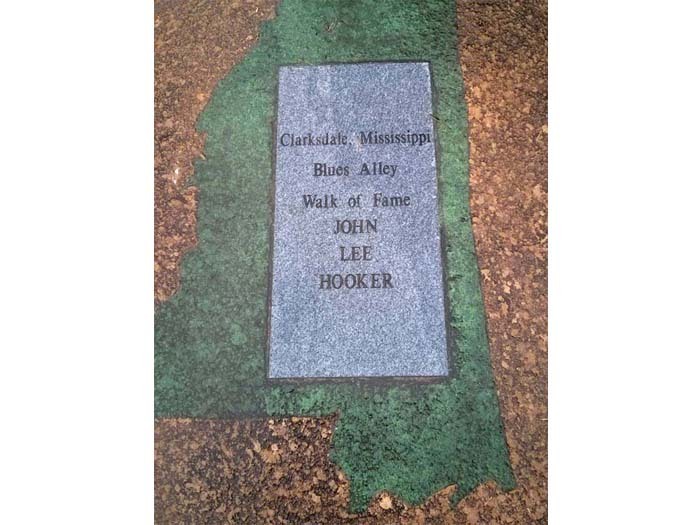 The weather has dried up as well – in fact it was warm and sunny during the afternoon in Clarksdale, and when we were sitting outside Red’s before the gig it was still warm – which is good because it means I can speed up a bit and make sure I get to Memphis on time. Just over an hour later I’m entering Memphis’ outskirts and then eventually find my way downtown and to the Peabody Hotel where I’m staying (I got a cheap deal via Priceline); I get into my room at 11.30 pm. Despite the long and late drive I’m still wide awake after such a great and interesting day so I go back down into the bar for a – rather expensive – beer and shot of Jack Daniels. But, what the hell, superb day. Whilst sitting in the lobby bar sipping my JD I reflect on the day and specifically about Red’s, which happens to be located between a graveyard and the Sunflower River, hence Red’s tagline above. 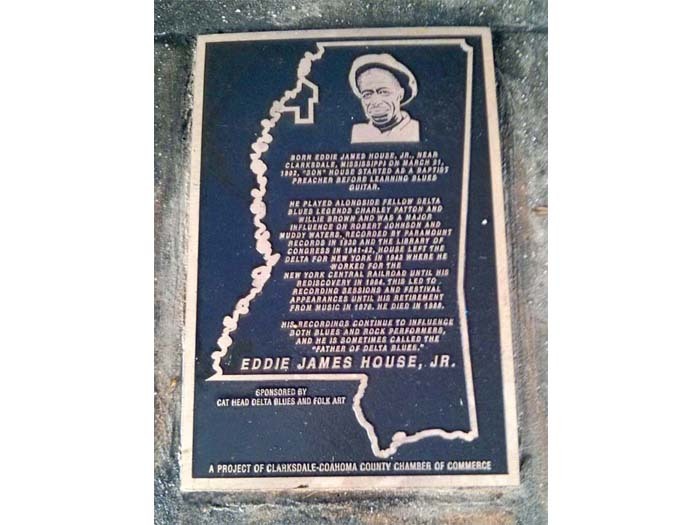 Firstly thoughts are that the friendliness and positive vibe from everyone I met in Clarksdale was the same as in the South Delta (Greenwood, Indianola and Greenville), which was great. 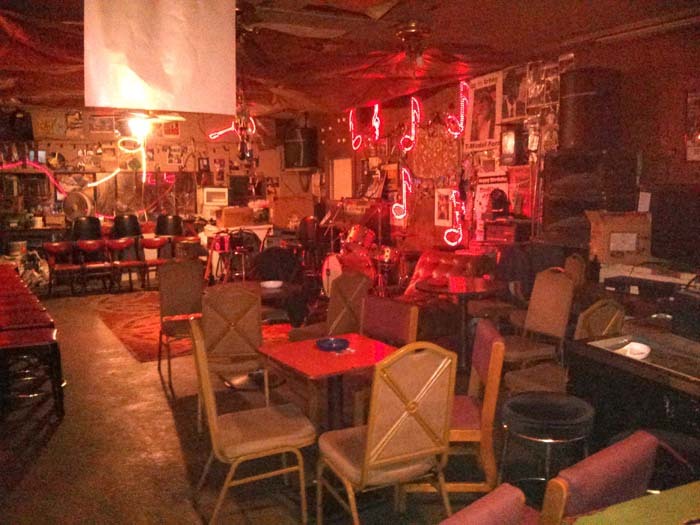 The big surprise was that when I left Red’s it was still only white folks in the audience. 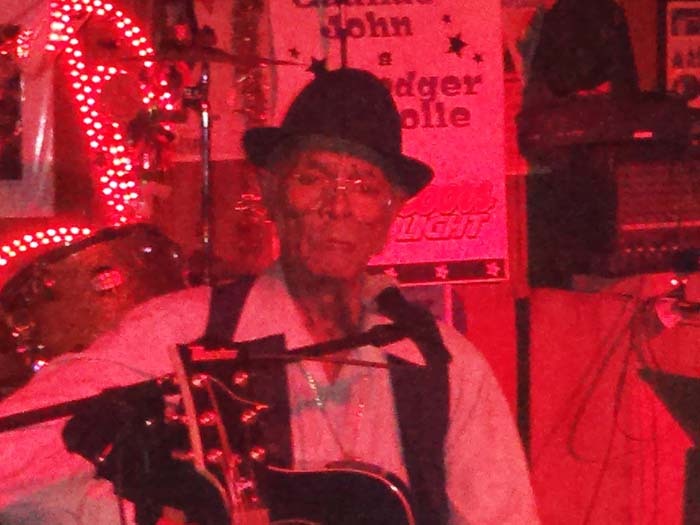 I’m really surprised that a classic Delta Bluesman, in a real juke joint, was not being watched by even a few black people, never mind lots of them. A one-off occurrence or not? 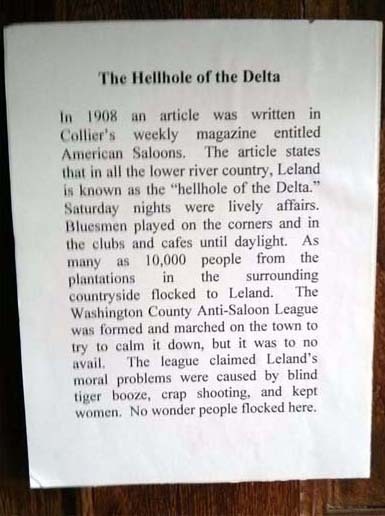 Who knows, but I do hope that Delta Blues is not just an experience either put on for or only experienced by white tourists these days. 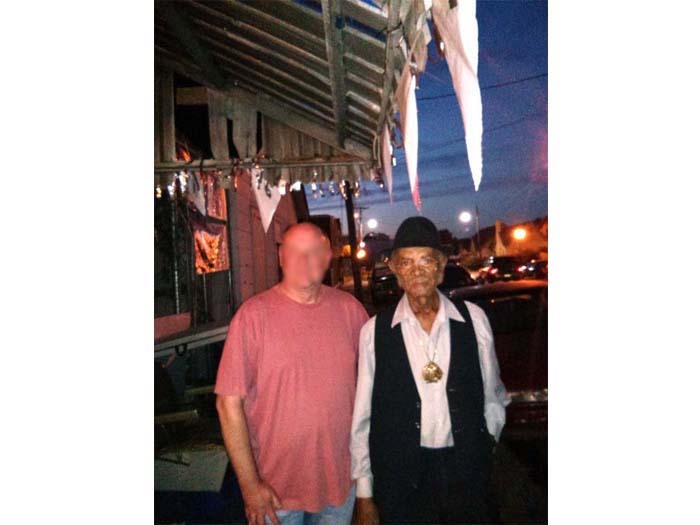 Another aspect is that the Wolfman is not getting any younger and the guy in Cat Head implied there aren’t many of the old-style Bluesmen left, so I also hope that some of the African American youth in the Delta today are carrying on the rich musical traditions of their forefathers. But I’ve officially left the Delta now – the lobby of the Peabody being the unofficial northernmost point – enlightened and enriched by the experience. Let’s see what Memphis can add to the story.